It’s always a struggle to come up with a healthy, protein-enriched meal that tastes good and fills ya up. 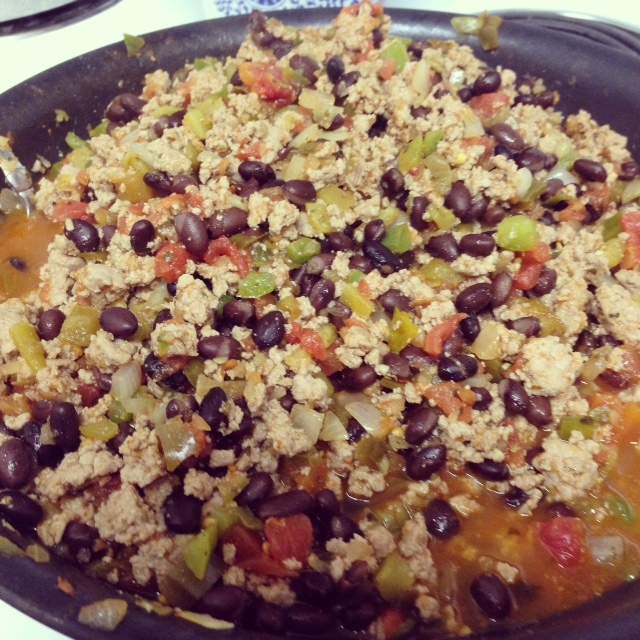 I threw this dish together and it makes for great leftovers and is really hearty. Things to look out for when you’re buying some of the ingredients: make sure you read the labels! I read through probably 6 salsas before I chose one I thought was good enough. Salsa is really high in sodium, so its best to buy organic, low sodium salsa. I also thought about putting a taco seasoning packet on the ground turkey, and I quickly realized that was not going to happen! The average sodium for 2 tablespoons of the taco seasoning packet were about 590 mg of sodium! Anytime you cook something “healthy” its essential to remember to truly keep it that way, take the extra time, read the labels to keep your food clean. Sautee the ground turkey (coat pan with a tiny bit of e.v.o.o) over medium heat breaking up with a spatula. Cook until the meat is no longer pink. Add e.v.o.o to a separate pan and sautee onions and green peppers, Add the cooked turkey, garlic powder, salsa, 1 cup vegetable broth and jalapeno pepper. 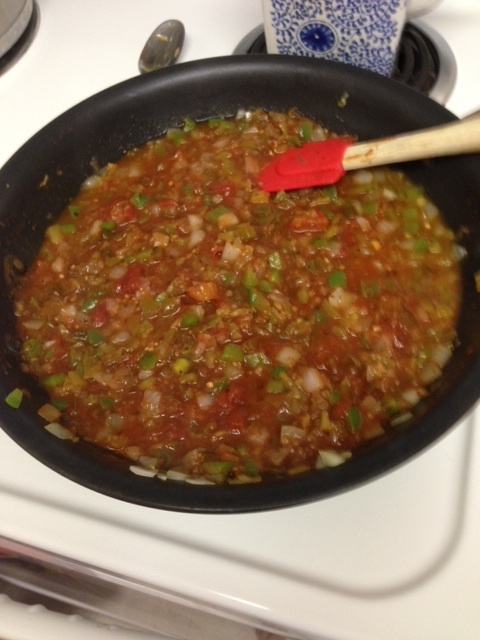 Let all of the ingredients simmer on low for about 25-30 minutes stirring occasionally.